Lindy Gaskill is an artist who splits her time between living in Mexico and Sedro Woolley, Washington. She creates acrylic paintings of colorful art to uplift the spirit and bring joy into the world. Her original paintings can be purchased through her website and prints are available in her Etsy and Society6 shops. Images on home decor can be purchased at her Zazzle shop. Lindy’s art has been featured on beer labels, cross stitch patterns, jigsaw puzzles, home decor and chocolate bar packaging and is available for further licensing. Email Lindy (at) artbylindy (dot) com for Press and Media related questions. 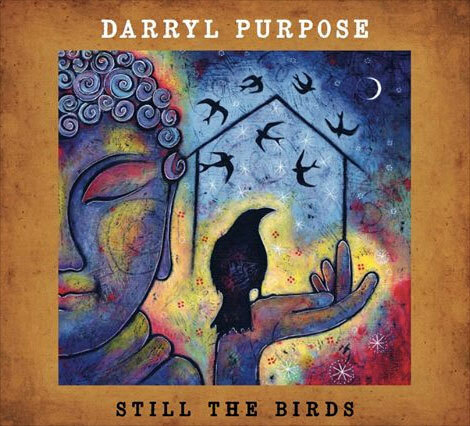 I am no longer showing my original paintings at brick and mortar art galleries. I’ve decided to be self-represented. Please contact me through my contact page if you would like to purchase an original painting. Prints can be purchased from my Etsy Shop and Society6 Shop. Lindy’s Greeting cards are sold here. You can find fun, decorated pillows and phone cases featuring my art in my Zazzle shop. I offer both gallery wrapped canvas prints as well as paper prints. The color and imagery are wonderful for a child’s room yet would look wonderful in any room in your home. Rumi Flute commissioned me to create and design her CD “Rumi & Zabumba Rumba”. Go here to read more about it. 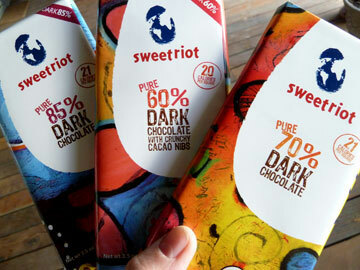 Many of you know I’ve had three of my paintings used on dark chocolate riotBar packaging by sweetriot! These delicious dark chocolate riotBars are organic and support fair trade and sourcing in Latin America. 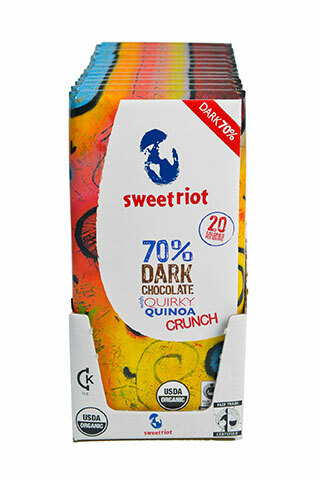 I love the riotBar called 70% Quirky Quinoa Crunch which has my art used for the packaging! Yum! They can be found in Whole Foods Market and other stores. Check the sweetriot.com website for locations. Did you know Lindy is also a graphic designer? Contact Lindy if you need help with graphic design such as a website, ad banners, etsy banner, animated gifs, brochures or photo retouching.